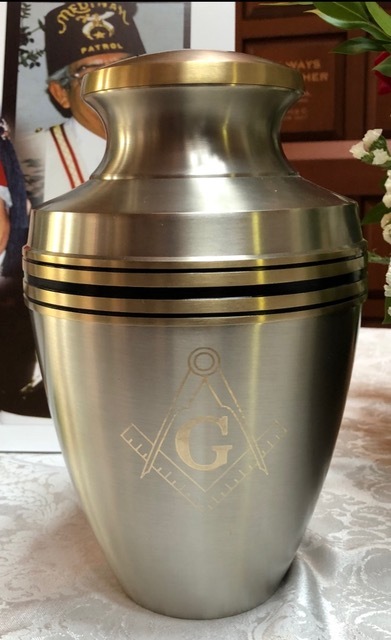 A special Thank You to all of the Brothers who were able to attend and assist us with delivering a quality Masonic Funeral Service and send off for W. Bro. 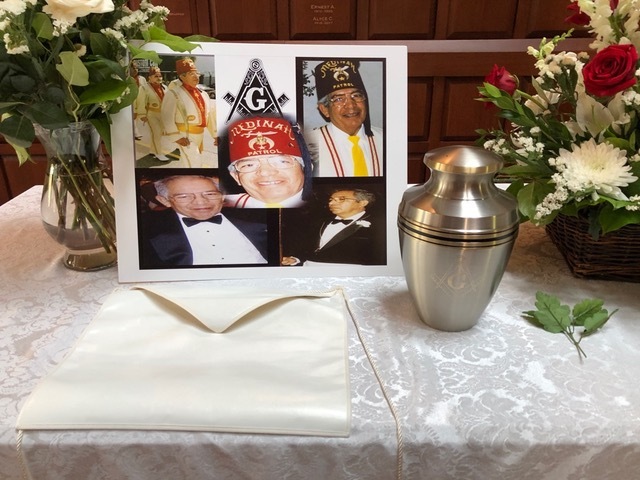 Celestino “Tino” Palomar, a Past Master of Hesperia Lodge. 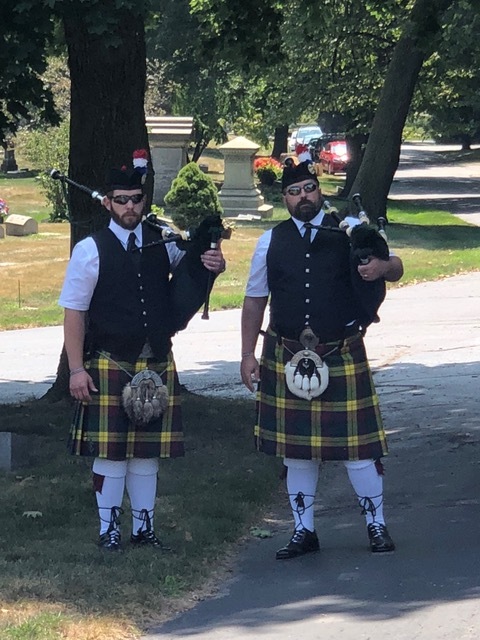 Also, Brothers Brandon and Adam added a special touch by playing the bagpipes at various parts of the day; they are from the Medinah Shriners. 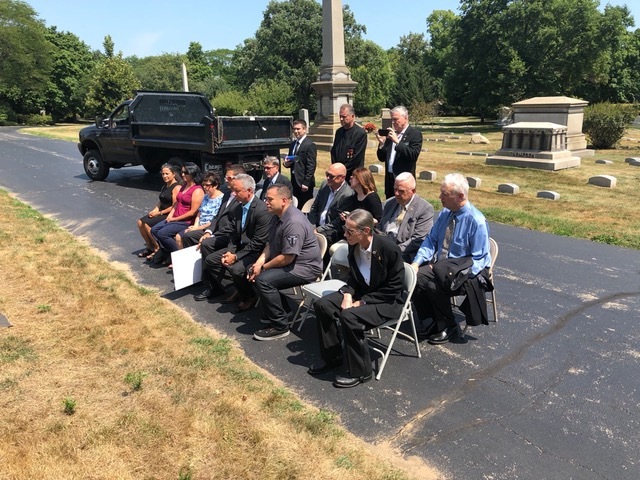 The Masonic Service was conducted in the Chapel of Graceland Cemetery. His family bought his original white leather apron which was used in the ceremony. 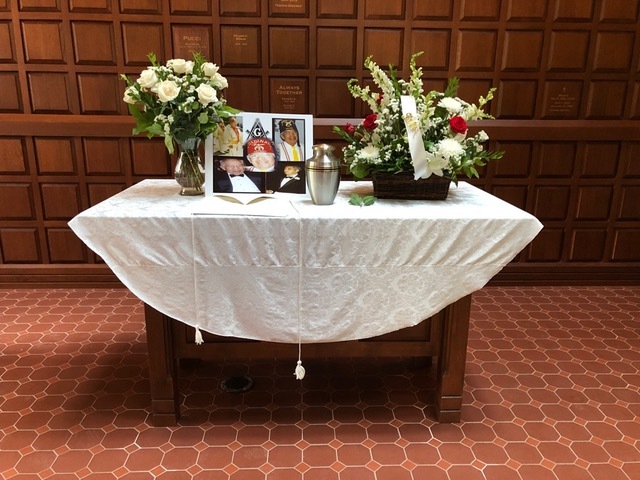 After the service, his three daughters and son-in-law gave remarks. Afterwards, we took a walk together to his final resting place in which his ashes were buried in the family plot area in the cemetery. Next, we hopped in our cars and drove up to the Andersonville neighborhood to enjoy a quality lunch together with the family at Calo Restaurant. 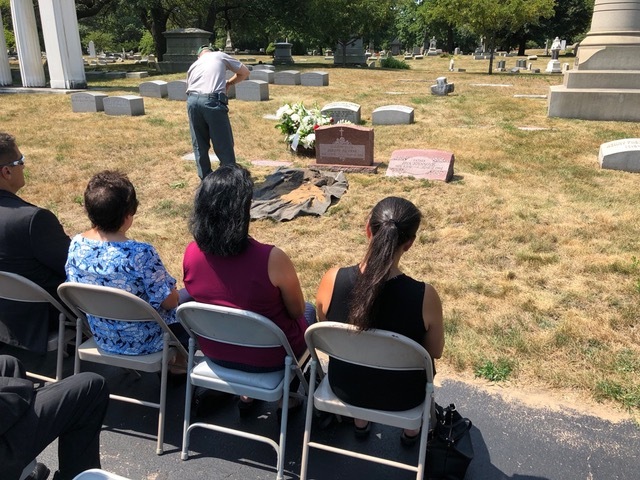 The family members were very impressed with the ceremony and was complimentary of our contribution to the experience of “saying a heartfelt farewell” to our dear friend and Brother. As Hesperia Brothers, you can all be quite proud of our work today. We definitely let our Light shine today…and it just felt good to deliver this quality experience for a dedicated and honorable man like our Brother.